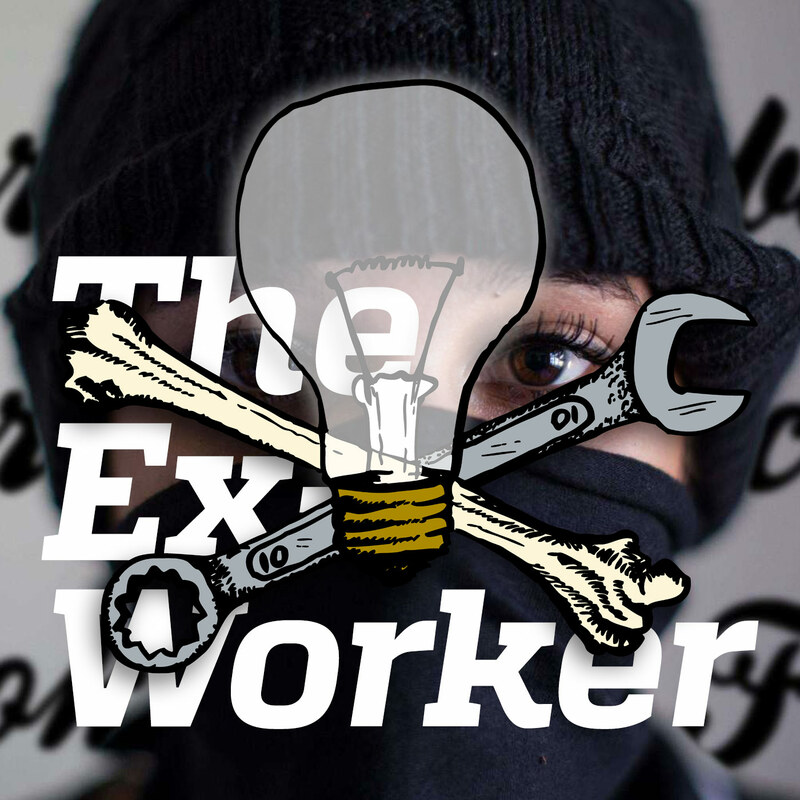 Clara and Alanis attended the Carrboro Anarchist Book Fair on November 22nd, 2014, and decided to try an experiment: recording an episode of the Ex-Worker in front of a live anarchist audience! We started off with our usual Hot Wire news, and then interviewed a wide range of participants from the book fair about workshops or presentations they did or projects they represented. Interviewees spoke about a writing project on southern insurrectionary history; the Can Vries eviction and riots in Barcelona, Spain; rethinking prisoner support based on experiences with anti-authoritarian queer and transgender prisoners; a moving letter by Luke O'Donovan sent from prison specifically to be shared at the book fair; an update about an anarchist injured and arrested at a Philadelphia solidarity demonstration; and participants from the New York City Anarchist Black Cross, the Inside/Outside Alliance, and the UNControllables, an anarchist student group. Despite doing eight interviews, we still only scratched the surface of the presentations and projects at the book fair, which included discussions of green anarchism, Afro-pessimism and self-abolition, mathematics and anti-colonial resistance, the anti-police rebellions in Ferguson, and lots more, plus a graffiti art walk! The full list is available at the Carrboro Anarchist Book Fair website. You may be wondering why we said that we were recording live in Chapel Hill, North Carolina when it’s called the “Carrboro Anarchist Book Fair.” Chapel Hill is a small university town and Carrboro is an even smaller town adjacent to it; the two main spaces where book fair workshops and tabling took place are on either side of the dividing line. It’s confusing, we know. Savannah spoke about the forthcoming book project “Dixie Be Damned: 300 Years of Insurrection in the South,” due to be released next year on AK Press. You can read some of the stories that will appear in the book on the North Carolina Piece Corps website, including discussions of convict resistance in late 19th century Tennessee, anti-confederate bandits in the swamps of North Carolina, and armed black self-defense from the early civil rights era. One presenter discussed the riots in Barcelona after the eviction of the Can Vries squat, and its eventual re-establishment. A workshop about queer and transgender anti-authoritarian prisoners focused on the cases of Luke O’Donovan (whose moving letter from prison a supporter read for us), Michael Kimble, Marius Mason, and Amazon from Gender Anarky. Folks from New York City Anarchist Black Cross spoke about post-release prisoner support, mentioning the cases of Sundiata Acoli, the Tinley Park Five, and others. Comrades from Philadelphia are seeking support for Andy, a young anarchist who was attacked and injured by police at a Ferguson solidarity demonstration; supporters are helping to raise money towards his medical and legal expenses. Help out if you can! The Durham-based Inside/Outside Alliance supports struggles of folks locked up in the Durham County Jail. They recently initiated a call-in day to the jail to demand that prisoners receive adequate food - although it has already taken place, you can still call the jail to support their demands! We heard from the Chapel Hill, NC-based student group UNControllables, who organize, among many other events, a “Radical Rush” week of events, which included this impressive “Disorientation Guide” for local student radicals. If you’re interested in connecting with them, especially if you’re a fellow student interested in anarchist university organizing, you can contact them to carolinauncontrollables at gmail dot com, or - sigh - via Facebook. Ohio anarchist prisoner Sean Swain has put out a call for support for Blackjack, his former cell mate. Do you remember the excerpt we read back in Episode 10 of Sean’s essay “Days of Tear Gas, Blood and Vomit,” his hilarious and inspiring account of fighting off a goon squad of heavily armed “extraction squad” armed with little more than a tube of toothpaste, a broken broomstick, and some styrofoam cups? Blackjack was his co-conspirator in that rebellion, which is more than enough to merit our admiration. He’s been in solitary for over a year, targeted for being an anarchist and because a rap verse he wrote appeared in materials by the 12 Monkeys crew of prison rebels. Send him some mail if you have the chance.